The ruling by Manhattan Supreme Court Justice Debra James came on Monday and marked Rosh Hashanah, the Jewish New Year. It starts the 10-day period leading up to Yom Kippur, or the Day of Atonement, the holiest day for Jews. 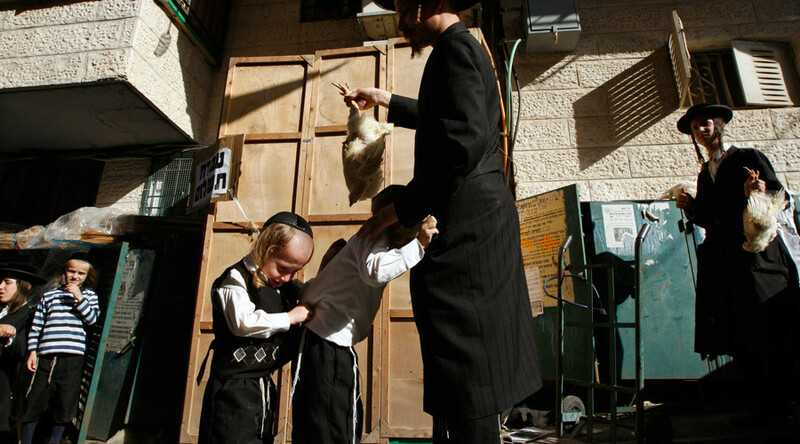 This is also when Ultra-Orthodox Jews practice “Kaporos,” or the ritual killing of chickens, to transfer their sins to birds. The meat is then handed out to the poor. Kaporos has been practiced by the Ultra-Orthodox in Brooklyn, but the ritual has been challenged by a group that calls itself The Alliance to End Chickens as Kaporos. The activists have taken the case to the Manhattan Supreme Court and sued the city, the NYPD and local Jewish leaders. They argued that the ritual had become a “carnival-like and chaotic public nuisance,” as more and more participants had slaughtered chickens and then left carcasses in the street. The suit's plaintiffs also said that the ritual could potentially contaminate the neighborhood as the streets of Brooklyn get covered with "stench, litter, blood, feces and feathers”. The ritual's proponents, meanwhile, insisted that it was within their religious freedom to hold such an event. Rabbi Shea Hecht previously called the case “an attack on his religious freedom,” according to the New York Post. “No one has the right to change our religion, and this ruling proves we can’t be touched,” Yossi Ibrahim, 27, from the Hasidic enclave of Crown Heights told the New York Post. The activists’ lawyer, Nora Constance Marino, said that she was “devastated” by the decision. The Alliance to End Chickens as Kaporos said in a statement on its website that they are going to appeal the ruling. “Now we have to work even harder to document the violation of 15 laws by practitioners and to speak out for the chickens,” the statement reads. The group now plans two demonstrations, “End Chickens as Kaporos Protest 1 and 2,” in Brooklyn on September 20 and 21. This year, Ultra-Orthodox worshipers have ordered up to 50,000 chickens to be prepared for the ceremony.